In 2017, St Mark’s College launched the Adopt-a-Rare-Book program – an innovation to help restore and preserve the College’s outstanding collection of rare and valuable books. Through the remarkable generosity of Old Collegians and College friends over the years (and some of its own careful purchasing), St Mark’s has built a library replete with rare and wonderful works in many diverse fields – history, law, art, science, natural history, theology, literature, Australiana and more. Some of these important works are now over 300 years old and in need of some careful restoration, to ensure their preservation for generations to come. St Mark’s has always valued the extraordinary contributions of its many donors. 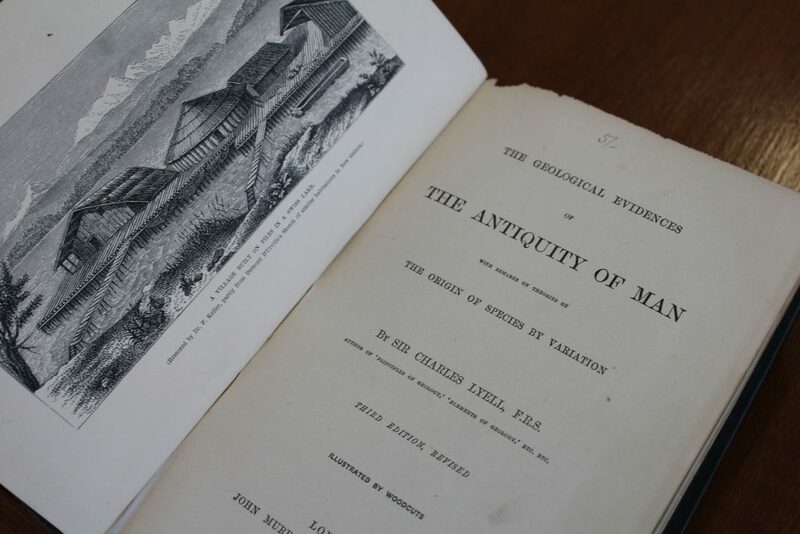 The Adopt-a-Rare-Book program offers an opportunity for all the bibliophiles and antiquarians amongst our many friends to play a special part in preserving our valuable rare book collection. Select a particular book from our Adopt-a-Rare-Book List and donate the indicative restoration price (and contribute further, if you choose, if additional restoration is required) – bringing this book back to condition is thanks to you! Select a particular book, or books, from the Adopt-a-Rare-Book list and donate an amount of your choosing towards its/their restoration – put your money where your heart is! Donate any amount you wish to the rare book restoration fund, and the Master and Librarian will apply the funds as priorities and needs demand, as the restoration project continues – spread the wealth! If you know of a rare book not on the Adopt-a-Rare-Book list for which you would like to donate, please contact the Librarian, Pirjo Rayner. What restoration work is being done? Ten of our rare and valuable books have now been restored and the full list is available here. Another five priority titles will be selected in 2019 and will be listed here in due course. Of the ten works already restored the most recent (an annotated Australian Constitution from 1901) is 117 years old, while the oldest was printed in the late 1600s! Most of the volumes on the initial restoration list were over 200 years old and would be very difficult, if not impossible, to replace. Of course, it is important to preserve the condition of the books as much as possible, as that is part of their history and value. With the years, though, pages have been damaged, bindings have deteriorated, and in some cases covers or pages have separated from the book spines. All of these things can be remedied, with the right expertise. 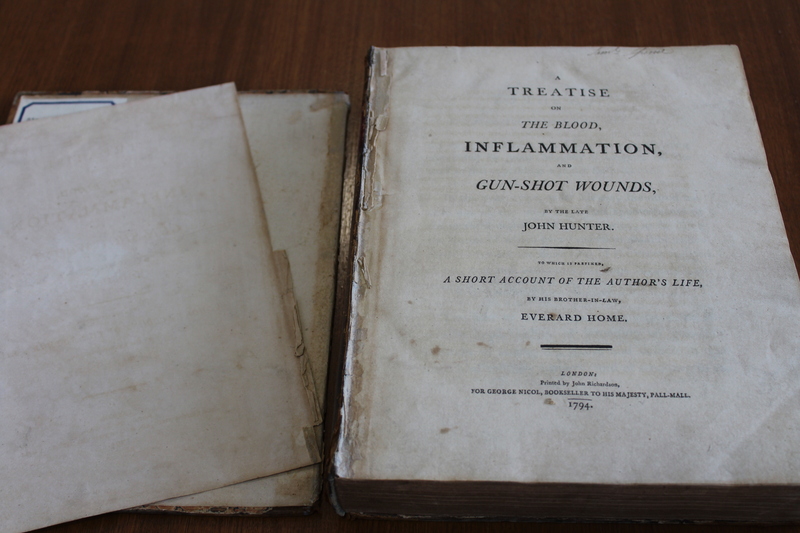 Anthony Zammit Book Restoration was chosen to undertake this important work. Anthony is a local expert in the field, with decades of experience in rare book restoration,including innovative solutions to restoration problems, which have since been adopted in other Australian states and overseas. As funds become available and the project continues, more of our rare and valuable books will be restored to prime condition. Can I keep up to date with the work being done? Yes! Updates showing the progress of the restoration work will be available on the College website here. Adopt-a-Rare-Book donors and Rare Book Benefactors will also receive personal email updates on the restoration of their chosen titles. We look forward to inviting all project donors to a special function to mark the restoration of the books. The Adopt-a-Rare-Book Program was launched at the Library Sundowner 2017 at St Mark’s College on 30 November 2017. Special guest Cheryl Hoskin, Rare Books and Special Conditions Librarian at the University of Adelaide’s Barr-Smith Library, spoke at the launch. This special event also marked three years of service of the East Wing of the College. Officially opened in March 2015, the East Wing houses the Ian and Pamela Wall Academic Centre, The Simpson Tutorial Rooms and the Allister McLeod Gymnasium, along with 32 student rooms and a 98-space multi-level car park. Construction was made possible by the generous donations of many College benefactors and donors – thank you all.